Welcome to the JVNP 2.0 Update featuring a JV offer courtesy of fellow JVNotifyPro Partner Luke Maguire (Instamate launch JVZoo affiliate program JV invite), Buzz Builders (Daman Sandhu + Raj Singh Sandhu – Wealthy SEO, Toshko Raychev – TR Profit System launches, Fred Lam – iPro Academy 2.0 pre-launch. Big Ticket Affiliate Commission Fans: We’re featuring EIGHT upcoming High Ticket Launches in today’s newsletter. Check out the Buzz Builder section for details) and More … in Today’s insta-moolah edition. What’s happening, Fellow JVNP 2.0 Partner? 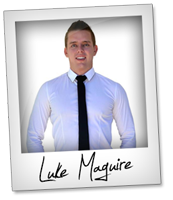 – Luke Maguire here & I personally want to invite you to be a part of Instamate On March 2nd at 9:00 am EST & Why its the launch you will want to hit to fill your wallets up while making some VERY happy customers. We have a $20,000 No minimum prize contest ready for YOU to win & competitions that any affiliate can take out, even if you are just starting. Instamate in 1 sentence is the first & only cloud based web software to find, schedule and MONETISE the most viral content on FB, Youtube & Twitter into your INSTAGRAM pages, shooting your organic reach through the roof and filling up your customers bank accounts. Basically you can cut your spend on ads, watch your organic reach go UP, monetise these updates and have this all scheduled for the next month in just seconds. -> Post and schedule posts from your computer (rather then on your phone). -> FINDS the most engaged content on the internet and then with 1 click having that content be posted to your Instagram account. -> Find the most viral content on Instagram allowing you to post & edit it to YOUR profile from our web based software. -> Have your Instagram accounts growing by hundreds of users a day, 100% free on Autopilot. -> Removed 3 of the most commonly used instagram image editing tools and builds it into Instamate with a FULL Instagram editing module suite (call to actions, filters, text, etc). -> First tool to enable you to put affiliate links in your instagram biography through our Instamate cloaker. My first launch with Alex Becker & Alex Cass paid out tens of thousands of dollars, my second launch made 250k in launch week paying out 125k in commissions and Viral Autobots did 450k+ In launch week alone and is now in the first page of the top sellers of ALL TIME on JV ZOO and I’m sure this will be no different. We have 8 different angle swipes for niches, a full crush campaign, a funnel that is going to convert like crazy & will be THE social launch of 2016. IF there is ANYTHING you need at all please let me know, Also my boy Simon Harries is JV Manager who can be contacted also so you have 24/7 JV Support. Gain access to our contact info and your promo tools here. Earn Up To $121 Per Sale! Easy $290.00 Per Sale To You! Blockbuster NEW financial product. Starving Market in trading niche. TR Profit System. Massive proof – never before seen product. Brand new $997 physical product – 30% commission. Pre-launch starts February 23rd. Launch day is March 1st. This is a done for you launch. Learn more here – > Toshko Raychev – TR Profit System JV page. Earn $998 commissions and have your list thank you for promoting a true hands-on coaching program for generating income in as little as 3 hours and growing it into a business that turns over $10k a month. Andrew Hansen + Sara Young – Constant Profits Club JV page. iPro Academy 2.0 is a revolutionary traffic course that shows you how to scale any businesses to multi-million dollars. Earn $1,000 commission per sale and participate in our JV Contest with $100K+ in Prizes. Our first launch did over $900k in sales with just 5 key affiliates, followed by a $40 Revenue Per Lead. Fred Lam – iPro Academy 2.0 JV page. FREEZE! With a $10,000 top prize, 100% commissions on the entire funnel and total $20,125 in leaderboard cash you don’t want to miss. It’s Michael Cheney’s “Commission Black Ops” and it’s gonna be epic. Join now -> Michael Cheney – Commission Black Ops JV page. Instant 40-60% commissions (paid within 7 days of cart close)… guaranteed reciprocal mailings… and a custom-designed $25K Email Alchemy JV swipe package to give your affiliates to explode your next launch … And these are just the highlights that make the March EMAIL ALCHEMY launch “the” event of 2016! IMPORTANT! Experienced High Ticket Sellers, ONLY, Please! Daniel Levis – Email Alchemy Elite 2.0 JV page. WebFire 3.0 is an amazingly powerful and automated set of tools to help users get more traffic, leads, rankings, and sales online. Many of these tools by themselves would sell for thousands a piece each year, but they can get all these powerful tools at once for a deeply discounted $997/year with 50% recurring commissions for life! Shawn Casey + Brian Koz – WebFire 3.0 JV page. WHY Participate? The urgent problem entrepreneurs and independent professionals face is a lack of exposure. Without exposure, there are no clicks, prospects or buyers. The unique promise of Push Button Influence (PBI) is to become a New Media Influencer—a highly-visible authority who cost-efficiently leverages the power of today’s new media platforms to accelerate growth faster and with less sales effort. Alex Mandossian + Steve Olsher – Push Button Influence JV page. $180,000 prize pool. $2/lead in prelaunch. $1,248 commissions. ‘100k Factory: ULTRA EDITION’ is the *NEW* version of the record breaking 2015 launch. 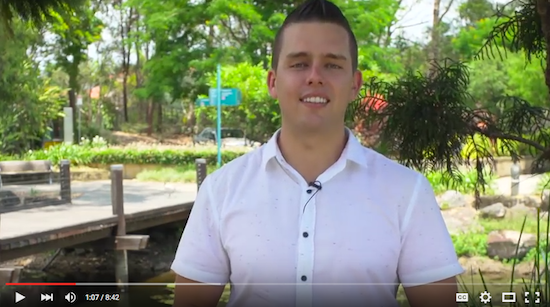 The unique system teaches people how to build a $100k/year income stream in UNDER 60 days. No prior knowledge required. JV prize money, swipes & more here -> Aidan Booth + Steve Clayton – 100K Factory ULTRA EDITION JV page.